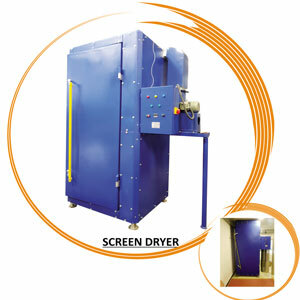 Thermic fluid heating system is used (OR) electrical heating is used for screen drying based on customer request. 12 screens can be placed in a single time. Automatic On/Off for electrical heater to maintain temperature 180 Degree and saves power.